It is with great pleasure that we invite you to attend the Annual Scientific Meeting of the Australian Society Gynaecologic Oncologists (ASGO) in Sydney, Australia, from the 5th - 9th June 2019. The venue for the meeting is the Intercontinental, Sydney. The venue is located at Circular Quay with sweeping views across the Sydney Harbour Bridge, Sydney Opera House and Royal Botanic Gardens. Registrations will be opening soon. We hope that you will be able to join us for the meeting and look forward to seeing you in Sydney. Schmeler is an associate professor in Gynecologic Oncology and Reproductive Medicine at The University of Texas MD Anderson Cancer Center. She provides care to women with gynecologic malignancies, including surgery, chemotherapy and preventive services. 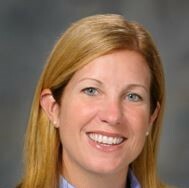 Dr. Schmeler is also the director of the colposcopy clinics at MD Anderson and its partner public institution, Lyndon B. Johnson Hospital, where she treats women with preinvasive cervical, vulvar and vaginal diseases. This workshop is being run during Friday's free afternoon and is open to consultants and fellows. Click below to view the program. Fellows' and ASGO Members are invited to submit abstracts. Abstract submission is essential to qualify for the discounted fellow's/trainee's registration rate. Abstracts should be a maximum of 150 words and must be submitted by using the link below no later than Tuesday 23rd April 2019. Tony McCartney made an enormous contribution to the wellbeing of Australian women suffering from a gynaecologic malignancy. He was an outstanding member of the Australian and New Zealand Society of Gynaecologic Oncologists and a true innovator. Tony developed the McCartney Tube and the technique for Total Laparoscopic Hysterectomy. This revolutionized the management of women with endometrial cancer and laparoscopic surgery in general. 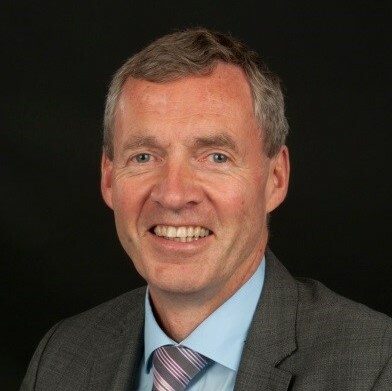 The Tony McCartney Surgical Innovation Prize will be awarded to an ASGO member or Fellow/Trainee for the best presentation (video or otherwise) describing an innovative surgical technique or procedure. Awarded to the best abstract presented by a Fellow or Trainee. Located in the heart of Sydney, the InterContinental Sydney will host ASGO Annual Scientific Meeting 2019. Discover a collection of luxury accommodation with custom design features for optimum usability and relaxation. With panoramic views framing each room, world-class facilities, luxe amenities and seamless service, uncover the heart of the harbour with all you need to make your time in Sydney truly memorable. With dazzling city lights before you, this contemporary 32sqm room offers views across Sydney's iconic cityscape just steps from Sydney Harbour. Discover the perfect blend of luxury and comfort with spacious rooms drenched in natural light complete with luxe bedding, a chaise window lounge, dedicated work station, luxury amenities and seamless five-star service. All rooms are available with a king bed or twin double beds and are equipped with WiFi compatibility and iPod docking stations. 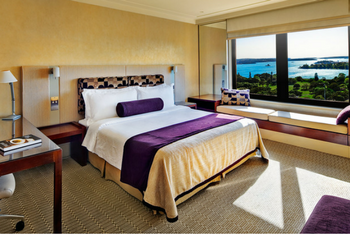 Welcome unobstructed views across Sydney’s Eastern Harbour, Watsons Bay and Royal Botanic Gardens with a premium collection of Eastern Harbour View Rooms. 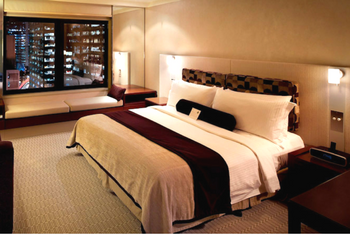 The 32sqm spacious room offers luxe bedding, dedicated work zone and chaise window lounge. You will indulge with deluxe amenities including the finest Agraria products. All rooms are available with a king bed or twin double beds and are equipped with WiFi compatibility and iPod docking stations.